Found one file extension association related to Hyper Backup Explorer and 1 file format developed specifically for use with Hyper Backup Explorer. Hyper Backup Explorer is a compact desktop tool that helps you quickly browse and copy different versions of backup data for immediate use. 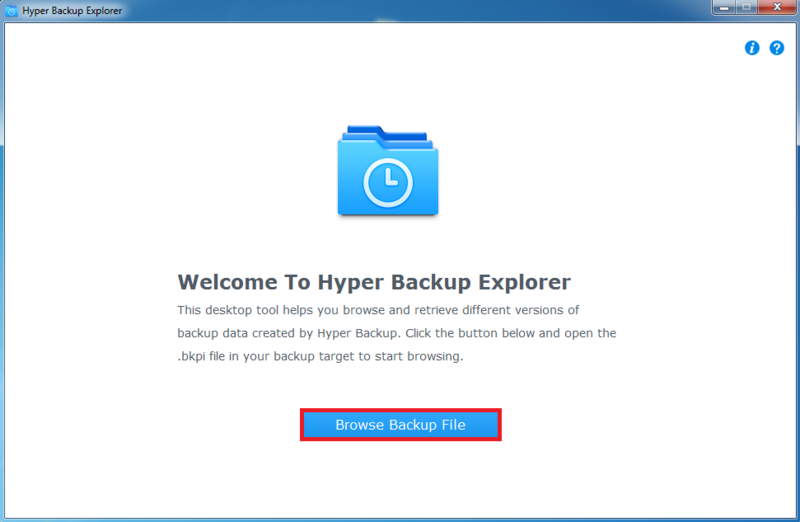 If you need more information please contact the developers of Hyper Backup Explorer (Synology Inc.), or check out their product website.